Western Corvette Service & Performance has a long history in Calgary. Established in 1978, we are now in our 28th year of operation. Western Corvette is constantly growing and expanding, trying to become your “one stop Corvette shop”. 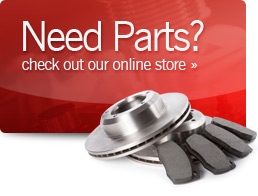 We offer retail part sales to the public, so that you can repair your Corvette yourself. We have thousands of parts in stock, both new and used, so let us know what you are looking for chances are we will have it! If it is something that we do not currently stock, chances are we can order it for you. We order from most of the major manufacturers, (eg. Corvette America and Corvette Central) every two weeks. If you do not want to do the work yourself, we also have a state of the art, full service repair facility on site. We can tackle any mechanical task, big or small, on any year of Corvette. Our goal at Western Corvette is to help passionate Corvette owners keep their cars in the best shape possible. This is why we do not focus simply on one aspect of the hobby, (parts or service, new or old) like many other Corvette shops out there. We are passionate about what we do, and everybody working at Western Corvette has a deep respect and love for the cars we focus on. The Corvette is an amazing vehicle; it is what inspires us to learn as much as we can and transfer that into the best customer experience possible. Give us a call today to see what we can do for you!